In the most wonderful setting of over one hectare, this super one level villa comes with a . . . 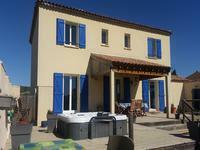 Situated in the Minervois in the triangle between Beziers, Narbonne and Carcassonne, This . . .
A truly charming property with a lot of space and character, very original and in pole . . . Superb 2-bed, 2-bath chateau apartment with roof terrace, communal garden, lovely view and original features, in market town with all amenities. A very high-quality renovation makes this a wonderful place to live! The traditional floor . 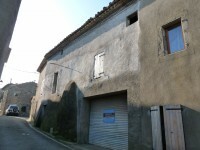 . .
An attractively-renovated house in a beautiful region, wonderful for holidays or year-round . . . Magnificent property, very nicely renovated with 3 bedrooms and 3 bathrooms a loft . . . 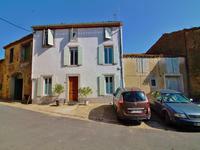 This is such a lovely house set in a quiet location in the popular medieval village of Siran . . .
Immaculate light contemporary family home with fabulous gardens, terrace, summer kitchen, BBQ and extensive views as far as the Spanish border! This gorgeous modern house, built in 2008 and situated in a beautiful medieval village with . . .